Incognito is a type of teeth straightening treatment that involves placing braces on the backs of the teeth. Also known as lingual braces due to their position opposite the tongue, Incognito braces are a great option for teenagers and adults who wish to straighten their teeth out discreetly. Incognito in Weybridge is available through selected dentists such as Weybridge Orthodontics. This treatment can deal with most types of tooth misalignment, including rotated and twisted teeth that cannot be treated with other types of invisible braces such as Invisalign. Patients interested in Incognito in Weybridge should book an appointment with a licensed dentist, where their teeth will be examined thoroughly, and they will complete a personalised consultation. According to the findings, the dentist will create a customised treatment plan that will address all the dental needs of the patient and will take into consideration their lifestyle. This treatment plan will also detail all treatments that need to be done as well as the cost of them. Incognito braces are customised to each patient’s teeth. They are made of metal brackets and wires, with each bracket designed to fit on the back of a specific tooth. Just like regular braces, Incognito braces use transparent elastics to keep the wire attached to the brackets behind the teeth. 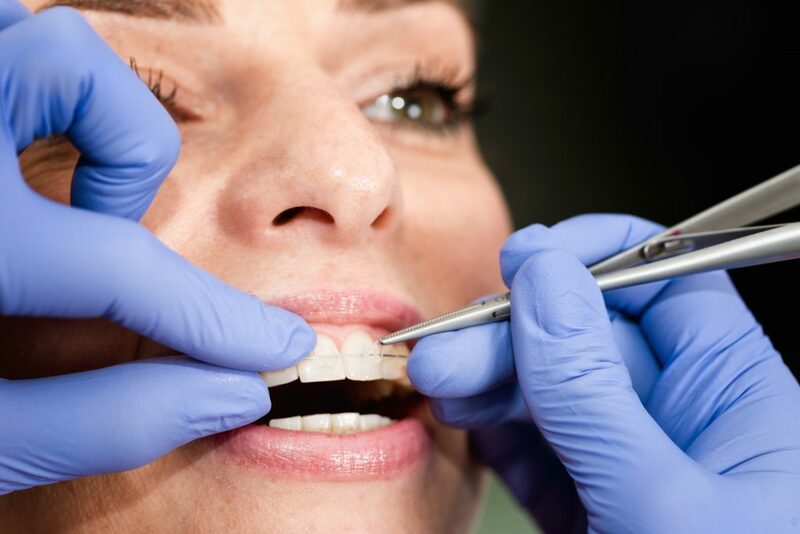 Incognito technology works by pulling the teeth into alignment and can address a range of dental problems, such as overcrowding and bite issues. While teeth straightening with traditional braces can cause irritation to the cheeks and inside of the mouth, lingual braces avoid this due to their placement on the backs of the teeth. However, it may take patients a little while to get used to the feeling of the brackets against their tongue. How are Incognito Braces Cleaned? Incognito braces may seem tricky to clean, but they usually do not require specialised equipment. Patients should use a soft-bristled toothbrush or an electronic toothbrush to ensure that they reach all the places in between their teeth and braces. If this isn’t enough, the dentist will provide special tools and advice to keep the patient’s teeth in good shape.